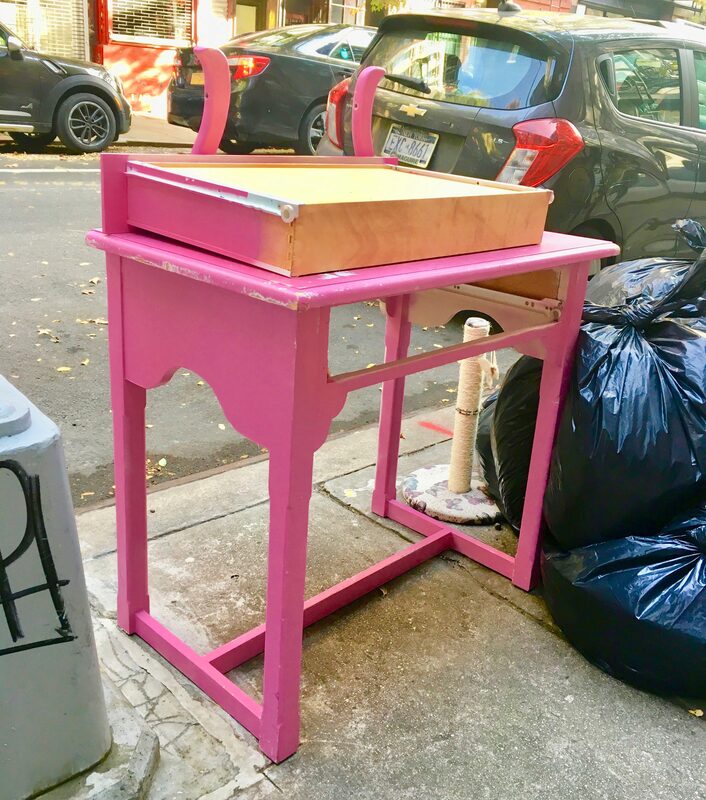 The coolest thing about this Hot Pink seven-drawer writing desk is that it was refinished from an old-fashioned white desk not unlike one that I had in my bedroom growing up! 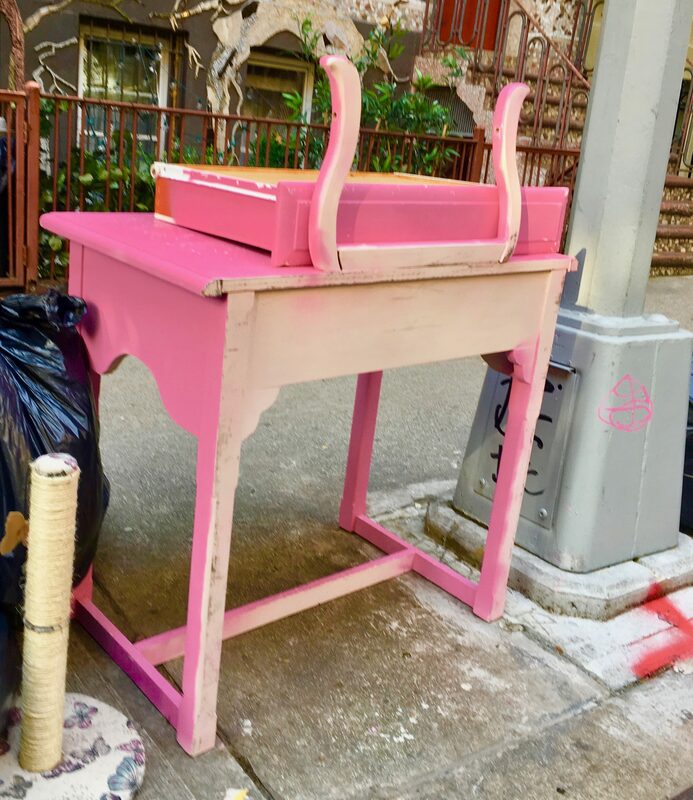 See the full transformation, with step-by-step directions and cool photos of the post-transformation design set up at a This Link! 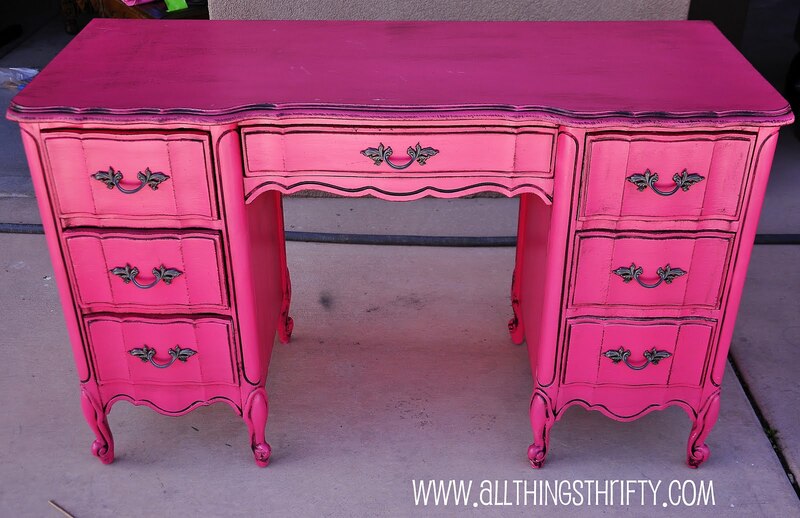 Pink Thing of The Day: David’s Desk Birthday Surprise! David is a good friend of mine from the gig I spend nine hours a day, five days a week at so I can do fun things like eat and have health insurance. 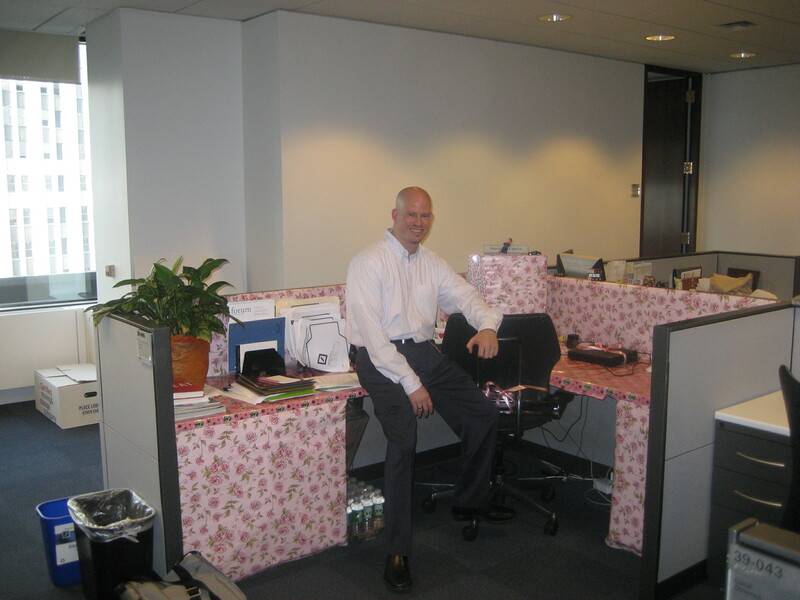 David is just so awesome that on his Birthday a few years back, his team surprised him by wrapping his entire desk and computer in pink wrapping paper! 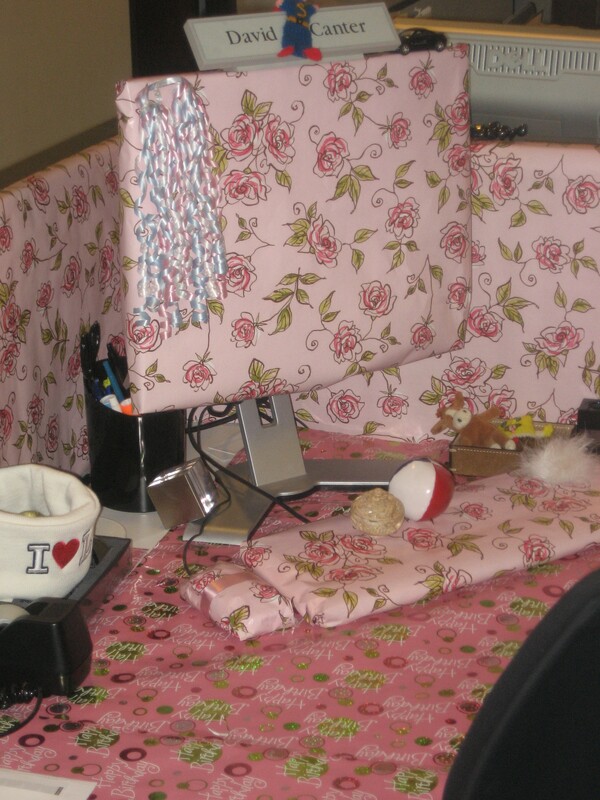 Birthday Office Pranks! I forgot I still had this picture on my hard drive and decided it’d make a cool Pink Thing of the Day to entertain you and to honor David for his awesomeness. Surely, you agree.